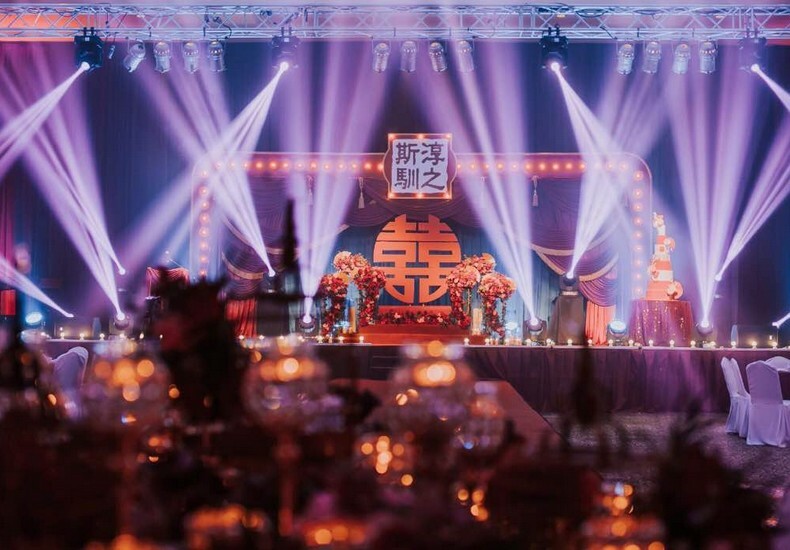 A stunning backdrop is often the focal point of a wedding banquet as the master of ceremonies and the newlyweds as well as their families take centrestage throughout the evening of festivities. Be it the welcome address, speeches, cake-cutting or toasts, the stage and backdrop will certainly be in full view of all present. 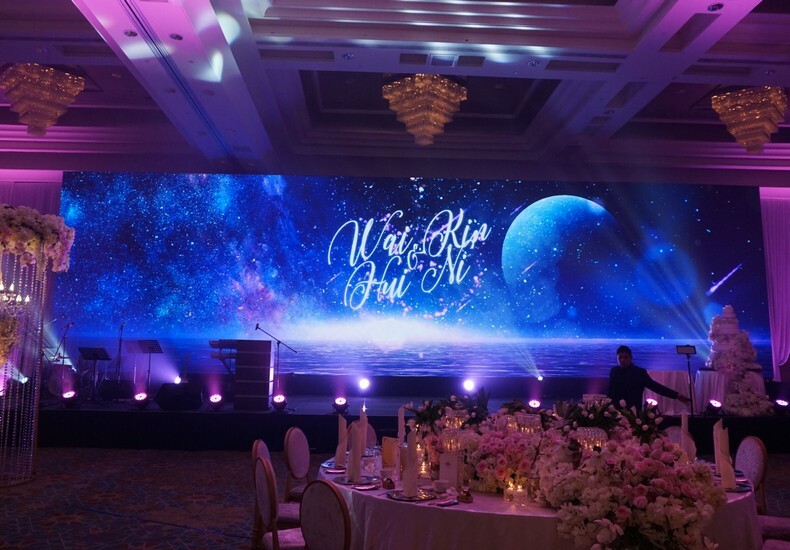 Whilst the venue often provides a ‘standard’ backdrop as part of their wedding package, couples nowadays tend to have a preference for a customised representation of their wedding theme, enlisting artistically-inclined wedding vendors to create a backdrop that will wow their guests. Allocate a reasonable budget for this endeavour. 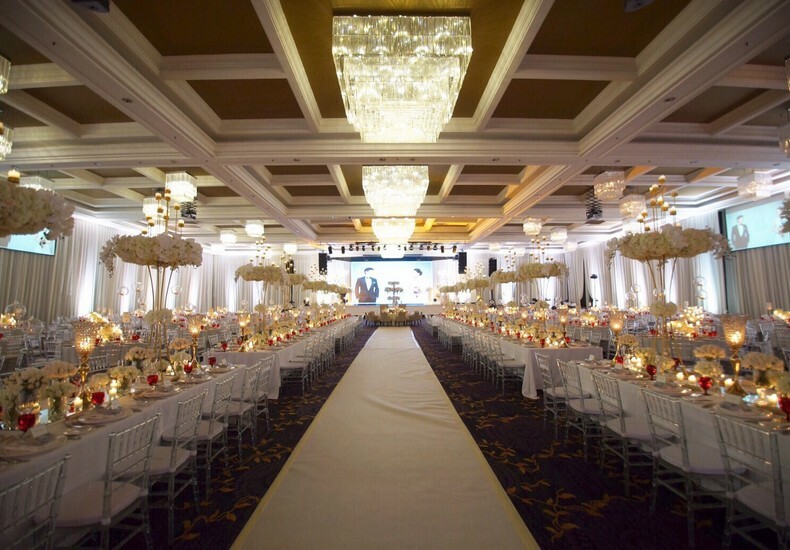 Ensure that all your wedding vendors are on the same page when it comes to creative execution of the idea. 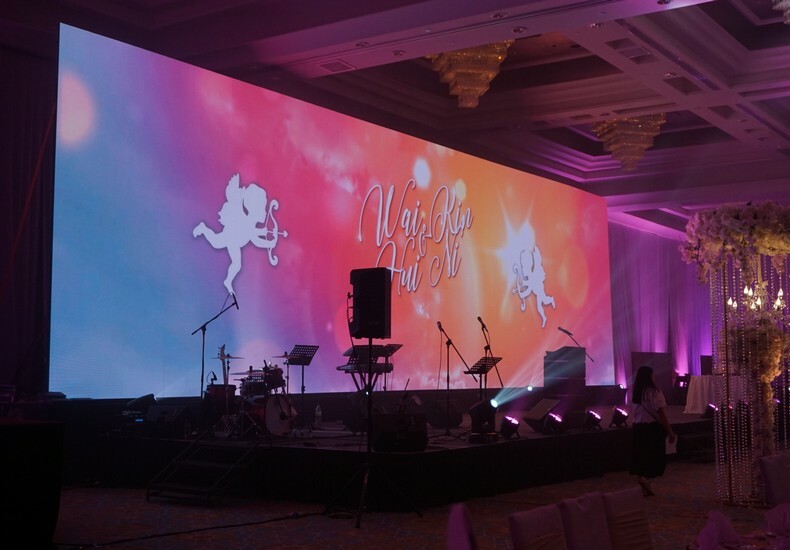 Determine lead time required for setup and make the necessary arrangements with your venue. Inform your venue of the electrical capacity required, if necessary. 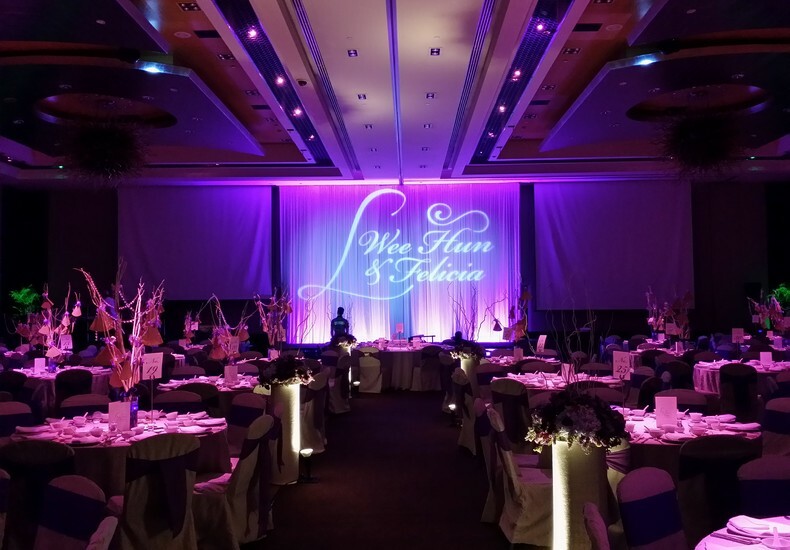 Have your photographer document the stage and backdrop prior to arrival of guests. See if your appointed band would like to do a rehearsal with the lighting in place. Once the idea and concept have been agreed upon, leave it in the good hands of your wedding vendors. Tip : Brainstorm with your lights and sound vendor. More ideas here.